Both scientific and historical researches have proven that the aloe vera plant has been around for centuries already and they have used for their healing properties. It possesses the resistive properties that enable you to do away with diseases and illnesses. They come in different packages. 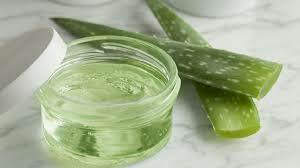 Aloe vera often comes as a lotion or sunblock. This can help you soothe your skin by functioning as the best moisturizer. It can soothe your skin through its cooling properties and consequently giving it a certain healthy glow. This can help prevent any itching and redness on your skin. The aloe vera can also be found on foods we partake. According to the FDA, the aloe vera can be found in many occasions as a beverage and it also works as a flavoring agent for some foods. The aloe is beneficial for the body both internally and externally. This can help you restore your digestive health. This helps for regular bowel movement and detoxifying the colon by removing harmful bacteria from it. It can be healthy for the scalp and hair. This can be the best product to use for ensuring hair and scalp health. It’s popular for getting rid of dandruff and preventing hair fall even for dermatitis and psoriasis. It may also be used as a styling gel. This can be used for eye care. The aloe vera can be used for soothing the eyes. All you have to do is to mix it with water and apply it to your tired and puffy eyes.